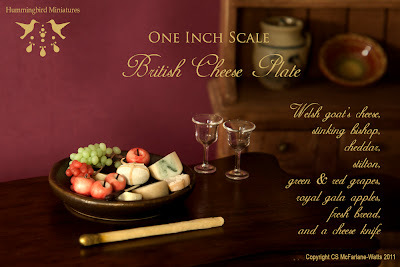 Here's my second English Cheese Plate made as part of my Tudor Range, but works fine in a modern setting too. 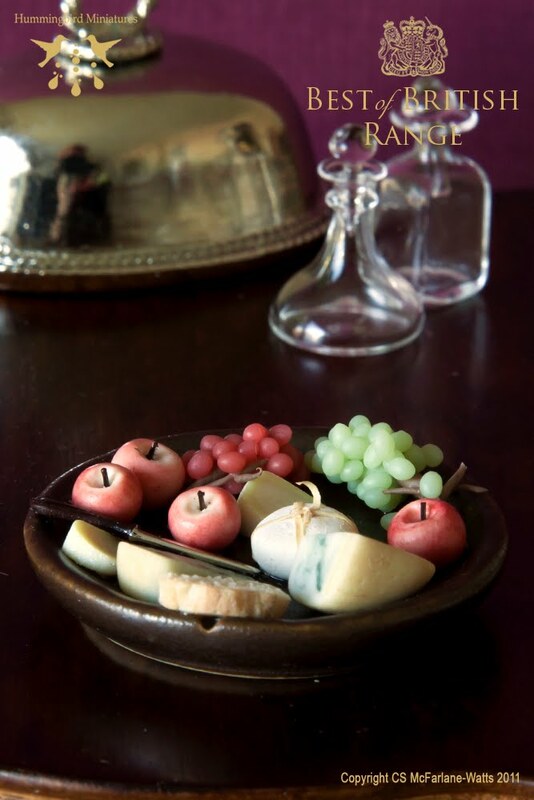 (See my other cheese plate here). 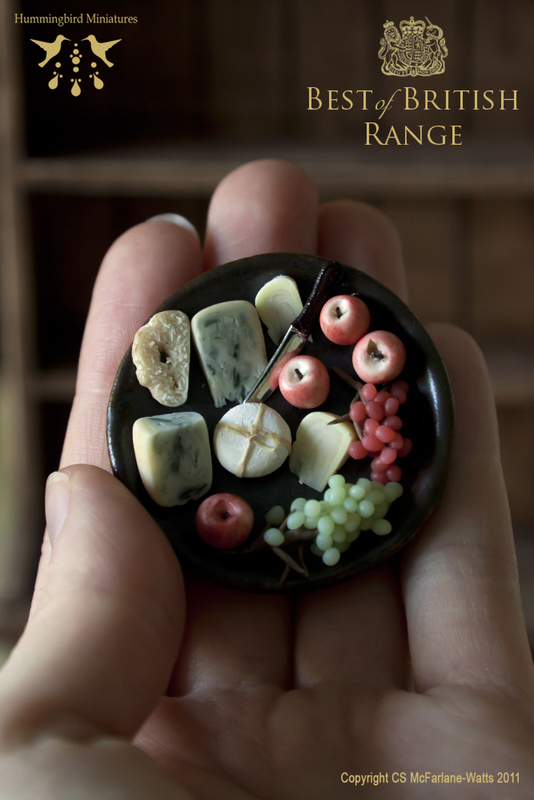 I adore cheese, so it was fun to make. 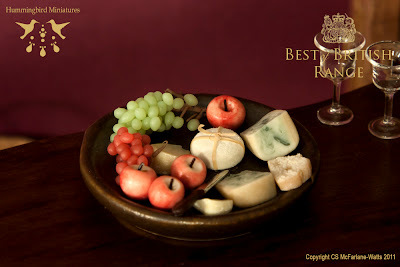 More detailed than the other one as this one includes green and red grapes as well as bread, the mixed Welsh and English cheeses, Royal Gala apples and a little cheese knife. I'll start listing on my online shop soon....! (Hopefully today). 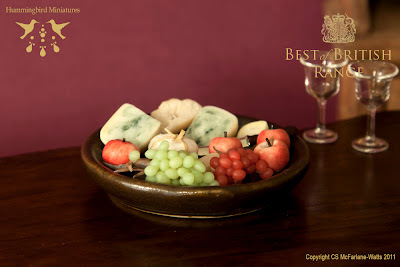 Fruit and cheese perfect! Congratulations and kiss on the heart. Making it in Half Inch Scale! 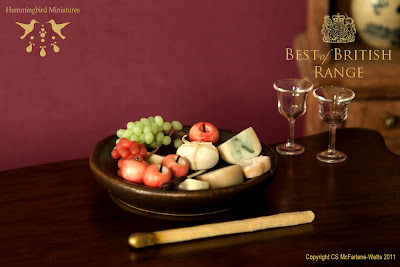 Made it onto Delish.com - yay!